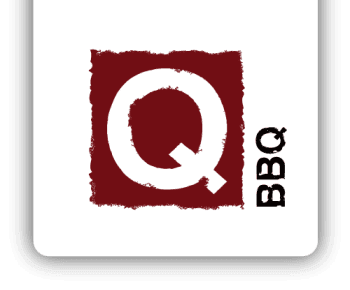 April 4, 2018 (Oak Park, IL) - Q-BBQ, a fast-casual Michelin Guide Bib Gourmand-winning restaurant, celebrates their second anniversary serving the Oak Park community. From April 9 through 20, they are offering $2 Pulled Pork sandwiches. The special offer is only available at their Oak Park location at 124 North Marion Street. Q-BBQ’s Pork Sandwich features Q’s succulent Carolina pulled pork smoked up to 12 hours served with their tart and spicy North Carolina vinegar sauce on a brioche bun. Q-BBQ’s Oak Park location celebrates their second anniversary with $2 pulled pork sandwiches featuring succulent pulled pork that has been smoked for up to 12 hours. Q-BBQ recently won the 2018 Experts’ Choice Award from TripExpert. TripExpert is a site that brings together professional reviews from travel guides, magazines, newspapers and other respected sources for hotels, restaurants, and tourist attractions from over 85 different publications. The professional reviewers from publications including Zagat and Time Out voted Q-BBQ as one of the best rated restaurants in the Chicago area. Fewer than two percent of the restaurants worldwide receive this award. Q-BBQ specializes in authentic BBQ traditions from Memphis, the Carolinas, Texas, and Kansas City, and has added its own signature style to create a familiar yet surprising menu that is both contemporary as well as true to the legacy of "America's original comfort food." The menu features BBQ delicacies like brisket burnt ends, traditional dry rubbed chicken wings, homemade sides made fresh daily, Hush Puppies, and signature sauces such as Memphis Sweet, Texas Spicy, and North Carolina Vinegar. Additionally, Q-BBQ specializes in corporate catering. Editor Note: To receive high res. images or to come to the restaurant to sample the menu please contact Amelia Dellos at amelia@agencythreesixty.com. Q-BBQ is a fast-casual Michelin Guide Bib Gourmand-winning restaurant (2012, 2013) that specializes in authentic barbeque, featuring smoked Texas brisket, Carolina pulled pork, Memphis dry rub chicken wings and signature homemade sides such as Hush Puppies and Mac-Q-roni. The counter-service, fine casual restaurant has locations in downtown LaGrange, downtown Naperville, Schererville, IN and Oak Park. For more information, visit www.Q-BBQ.com, Facebook.com/EatQBBQ, or Twitter.com/EatQBBQ.